Onepoint is the leading provider of project and portfolio management for small and medium-sized enterprises. It uniquely integrates agile, formal, and JIRA projects into a single resource database. The company values four major tenets: simplicity, effectiveness, innovation, confidence. The project portfolio management software that onepoint developed, onepoint PROJECTS, combines all four qualities into one simple platform. It ensures that the company’s reputation stays excellent among those working with business management software. onepoint PROJECTS project management software offers all the features a client needs to complete daily, monthly, and even yearly projects and tasks. The project pipeline function allows users to have a visual of all relevant information for each project in one dashboard and the work breakdown structure feature lets clients focus on one task at a time, helping them better manage their time. Additional features include a milestone trend analysis, a budget versus actual expense comparison tool, gantt charts and more. onepoint PROJECTS also combines tasks and comments in an easy-to-access platform and enables worldwide communication in seconds. It also maintains project files and documents in the system and makes it easy to pull reports whenever they are needed. A leading international logistics and service provider, cargo-partner specializes in overseas transportation solutions. Previously, cargo-partner had been operating under its self-developed project management software that dealt mainly with administrative projects such as human resources. With a growing client list and an expanding company, cargo-partner knew it needed to find a better planning platform. With the installment of onepoint PROJECTS, the business has been able to implement several planning processes on several levels, present better documentation, plan resource utilization more effectively, and has experienced an overall increase in project efficiency. 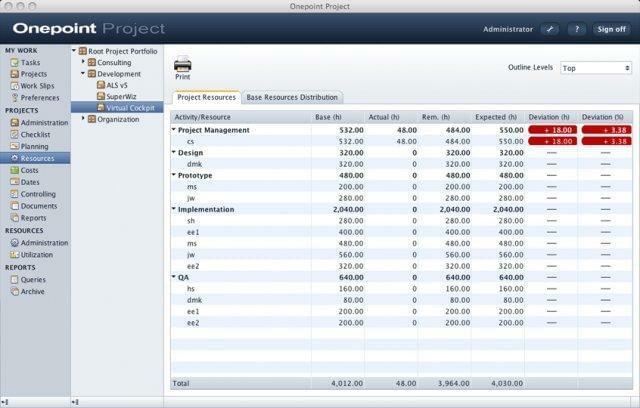 See more enterprise project management software using our Project Management SmartAdvisor tool. 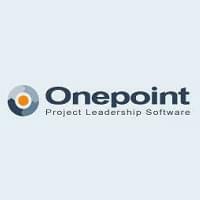 Learn everything you need to know about onepoint PROJECTS. Our experts will reach out to you shortly.